I love the watercolour effect here - goes with the nautical theme perfectly. I also think the framing is fab and makes the photos really stand out. The journaling in a circle adds the finishing touch. The photos are Tracey and her husband on a cruise. Very nice too! 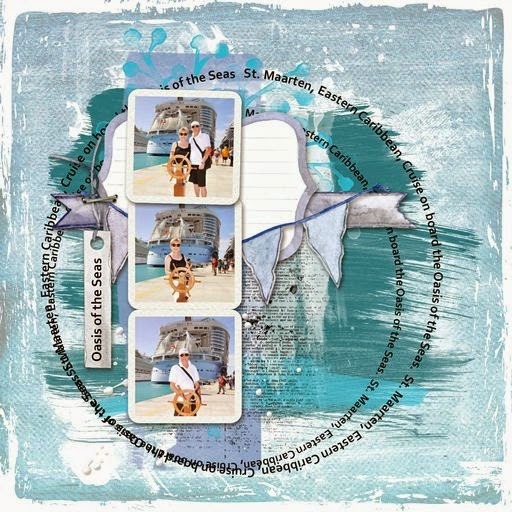 Tracey used a template from Studio Dawn Inskip.